Do you ever look at fabric and think, “That’s close to what I want, but not exactly what I want” or “I could create fabric that looks better than that!” Well now is your opportunity to get creative. Bonnie says to get ready to play in the “no rules” zone and have some fun. You can use the fabric you improvisationally piece for the afternoon class – the Open Wide Pouch – or for another project that’s on your “to make” list. This zipper pouch is so versatile. It can be made in many sizes and the extra-wide opening makes your treasures easy to find. 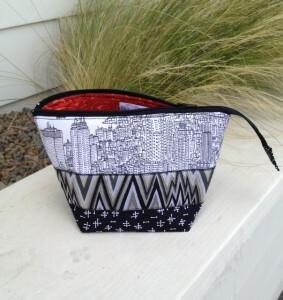 Anna Graham of Noodlehead created this Open Wide zipper pouch with a superbly designed zipper installation. We will take it step-by-step so that you'll know the pattern like the back of your hand . . . which is good because you’ll no doubt want to make more of these after you take Bonnie’s class. Call us at 970-565-7541 or come by the shop to sign up for one or both of these classes. 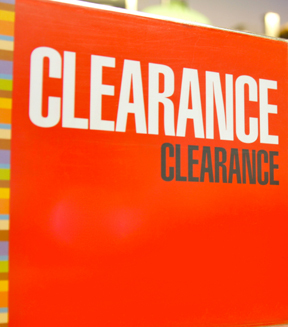 It's once again time to "clearance and clearance" rack. 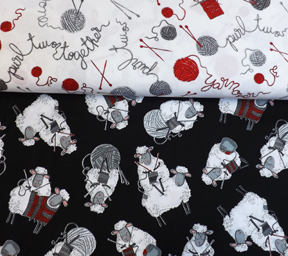 Tuesday through Saturday all fabric currently on clearance will be $5.50/yard and only $5.00/yard if you finish the bolt. One yard minimum.We added new bolts to the clearance section today. Everything else in the clearance area (rulers, patterns, remnants, scrap bags, etc.) is an additional 20% off the already marked down price. Hurry in for the best selection! 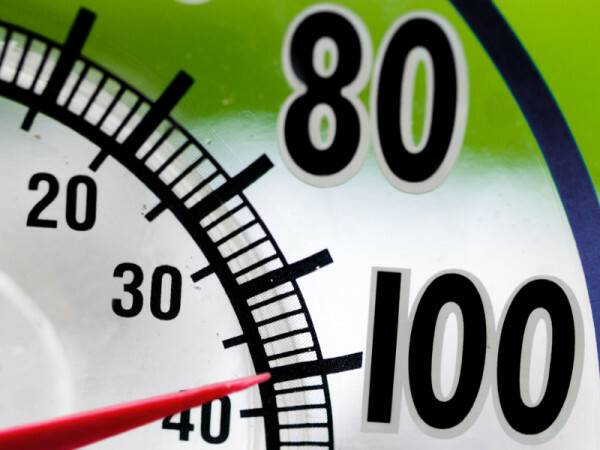 Too Hot in Your Sewing Room? It was a long time coming but summer is finally here and it's HOT! If your sewing room is a tad too toasty pack up a project and your machine and spend the day or an afternoon sewing in our cool classroom. Any day we're not having a class everyone is welcome to come sew and socialize. Treat yourself to a dedicated sewing day in our comfortable space (new cooler installed this year - yay!). No need to call ahead . . . just check our website to see if the classroom is open and hop on over. This week the classroom is available for sewing Tuesday, Wednesday, and Thursday. We got in these two new bolts of fabric just for you. Wouldn't these make a cute tote bag to carry your projects? 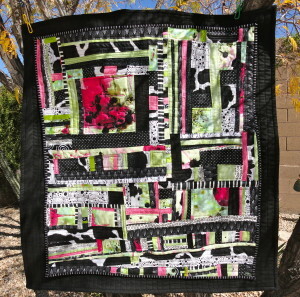 Or maybe a pillowcase for a favorite knitting friend. We just finished and hung this beautiful quilt in the shop. It's a J. Michelle Watts pattern and very fun to make (also easier than it looks). 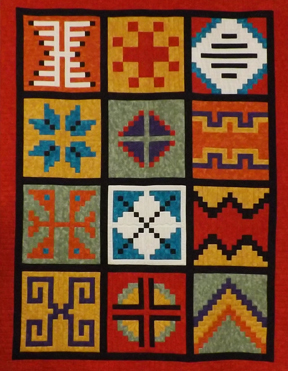 This 57" x 73" quilt is perfect as a wall hanging or sofa throw. At only $129 you'll want to take one of these kits home today. Call us at 970-565-7541 to order if you live out of town. 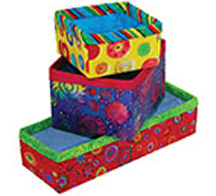 These fabric boxes can be made in five different sizes, and they’re so cute and so handy. Store your sewing notions, keep cosmetics organized on your bathroom counter, use as drawer dividers or a “catch all” in the kitchen. The possibilities are endless! No need to bring your sewing machine to this class. You only need it to make the binding and you can use one of our machines for that. Judy Bryan will teach this class. Scrapper sessions are free. PLUS . . . each time you attend you’ll receive a bag of scraps to help keep you excited about your project! 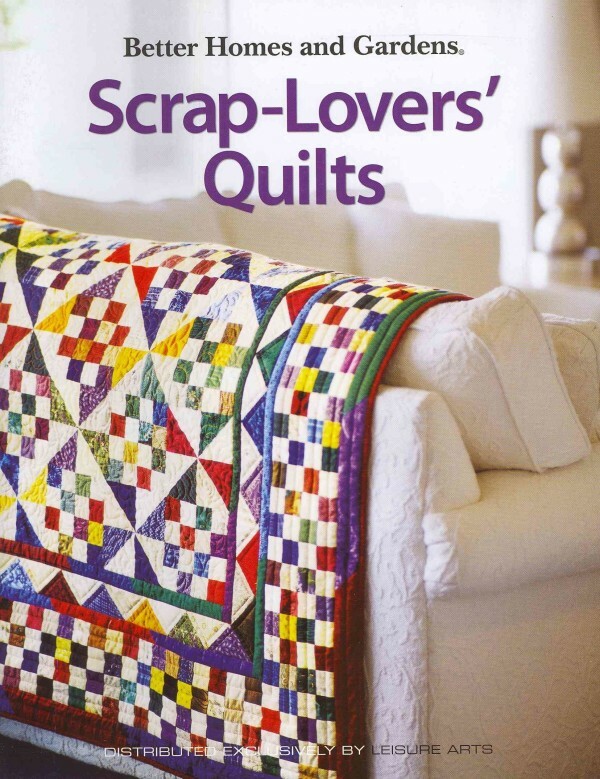 Join The Scrappers and spend the second Friday of every other month working on a scrap quilt of your choice from the book Scrap-Lovers’ Quilts. You’ll be amazed at what you can accomplish during a full day of sewing without the distractions of home! 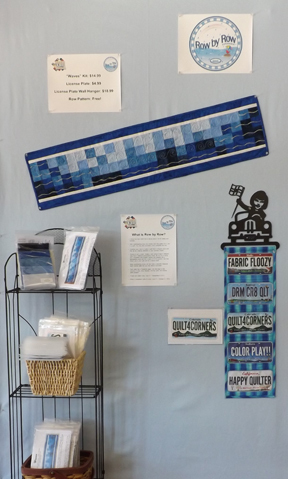 Each time you attend you’ll receive a bonus scrap bag to add to your collection or trade with others while you sew. Attendance at The Scrappers is FREE but space is limited so do call reserve your seat in the classroom. 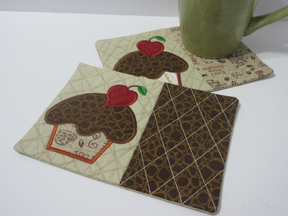 These mug rugs are made entire “in the hoop.” If you have not yet tried this embroidery technique, you’ll be amazed by how easy it is to create these pieced mug rugs and embroidery applique designs in one hooping. No need to bring your machine. We’ll watch the video and then Cindy will demonstrate using our 790E. Please call 970-565-7541 or e-mail Cindy no later than Monday, July 13 at noon to reserve your space. NOTE: If you don't have a BERNINA embroidery machine and you're curious what this is all about, please join us! Row by Row Has Officially Begun! Get the details on the home page of our website where you can click through to the official Row by Row Experience site. This Magic Wand is a great little tool with a variety of uses in quilting. Watch this short video to see Deb Tucker, the inventor of the Magic Wand, demonstrate how she uses it to make perfect half-square triangles, combination units, flying geese, snowball units, and more. You'll pick up a couple of tips for precision piecing in this video, too. Well worth 12 minutes. 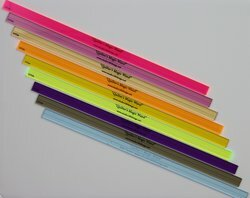 We have these in stock along with several of Deb's other rulers and patterns.